Garage Door Openers, Repair, Install & Service in Vancouver just call us now (604) 398-4009 If you live in Vancouver and you need to Repair your Garage door just call us now (604) 398-4009. We are your trusted Garage Door Openers, Repair, Install & Service in Vancouver, providing repair, installation, and maintenance to our customers. When you trust our company for your work, you’ll get attentive work tailored to your exact specifications, at an amazing price. We maintain our old-fashioned values, and that means we go above and beyond to get the job done the right way while keeping our customers happy. Whether you need garage door installations or a something else, we’ll give your job the time and attention that it deserves. We can repair your opener, install a new opener, or provide service to maintain your garage door. 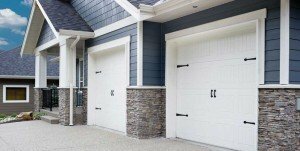 We also offer a variety of garage doors Langley for sale and doors Coquitlam, as well as accessories to go with them. Call now and get an estimate for doors Langley or doors Coquitlam, or any of our other services, and find our firsthand why we are the repair company you’ve been looking to find. Our list of services is extensive because we understand that a variety of different problems can affect your life. We’re capable of handling that problem and getting your garage door opener back in great working condition, whether it’s broken or damaged. We’re capable of installing a new opener if your current unit is damaged or otherwise failing to meet your expectations. And, of course, we’ll service the garage door opener so that it maintains durability and dependability. We’re your one stop garage door opener shop, ready to service your needs when duty calls. Call Now for Top-Notch Service:: Springs and cables can quickly cause your garage door opener to malfunction. We’ll fix a garage door off track just as easily as we offer spring replacement and more. Many other causes of damage can also interfere with the way that your opener works, from normal wear and tear to bumps into the garage door. We’ll make the repairs quickly, dissolving all your worry. Installation: Garage doors installation is another one of our expert services. We sell many openers, opener remote, roll up gates, insulated garage doors, uninsulated garage door, wooden garage doors, vinyl garage doors, and other products as needed, and install them, too. New door replacement is one of our most popular services. Service: Maintaining your garage door openers can prevent many headaches and expensive repairs. Just one visit from our garage company per year, and you can save money and maintain your beautiful garage doors. Call now (604) 398-4009 when you need Canada garage door service. We’re your one-stop-shop for all things related to your garage doors, and we’d love to show you why so many British Columbia CA homeowners and business owners have trusted us to service their residential and commercial needs. You have a choice in Vancouver, Canada, garage door companies, so why should you choose our company? We’re not the average company, and we like it that way. Instead, we go to work for you, our customer, and work until you are satisfied with our services. We aim to please and dissolve any worries or frustrations that you may have. You’ll always get treated to professional service, low rates, and quality work when you trust us for your needs. Give us a call at(604) 398-4009 and request your free estimate for new door replacement or garage repair. We offer 24/7 repair and same day service to suit your needs. Use our free quotes to compare our rates with other CA companies. You’ll be back to us upon discovery of our competitive rates and substantial service. We offer 24/7 emergency service if you experience problems after regular business hours and same day service for everyone else. We think you’ll love our great rates and professional service for all your garage door repair and installation needs. We service Vancouver, White Rock, Ladner, West Burnaby, New Westminster, Surrey, Richmond, Delta, Tsawwassen, Port Moody, Maple Ridge, and Port Coquitlam in British Columbia. Call now, and one of our experienced technicians will take care of your needs. (604) 398-4009 is the number. We are waiting for your call!